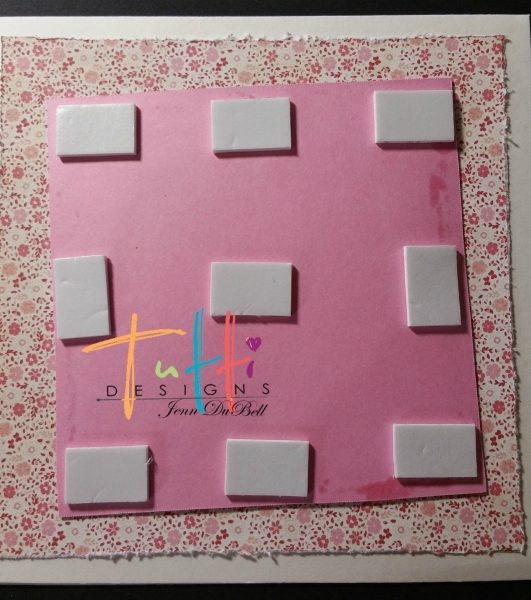 Hi there Tutti Designs fans! 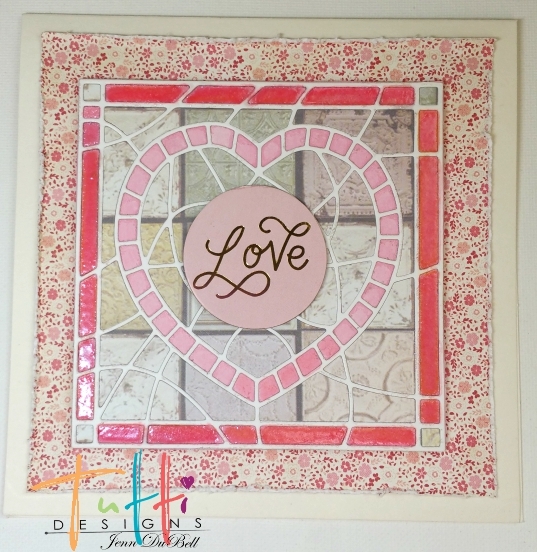 Jenn here to share with you a cute valentine card created using one of the many amazing Tutti Designs Dies! For this card, I used to oh so adorable Heart Stained Glass die. 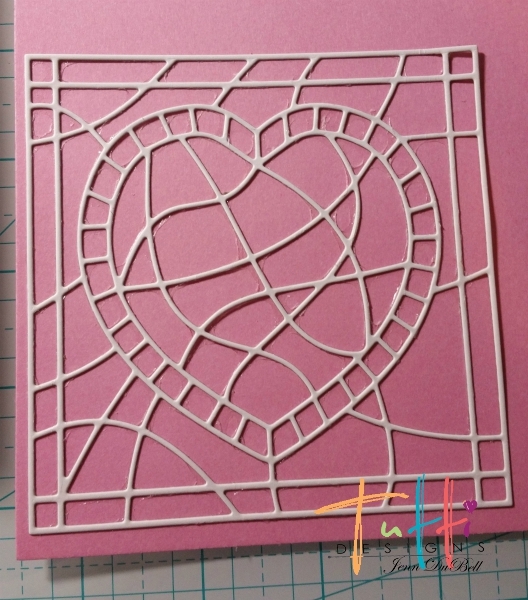 To cut the dies this card I used a sheet of white heavy cardstock, a sheet of patterned cardstock. I cut one from each sheet. I ran the white die cut through a sticker creating machine and adhered it to the pink cardstock. Notice the glue that is inside of the pattern? This is necessary for the next step. 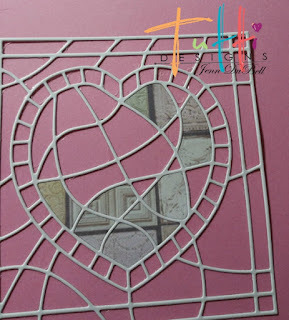 Carefully remove the pieces from the inner heart die cut one at a time and press them into the white die cut. I used a tool with a small ball on the end to gently push the pieces into place. Any pieces that did not stick I adhered with glue. Next, trim out the square. 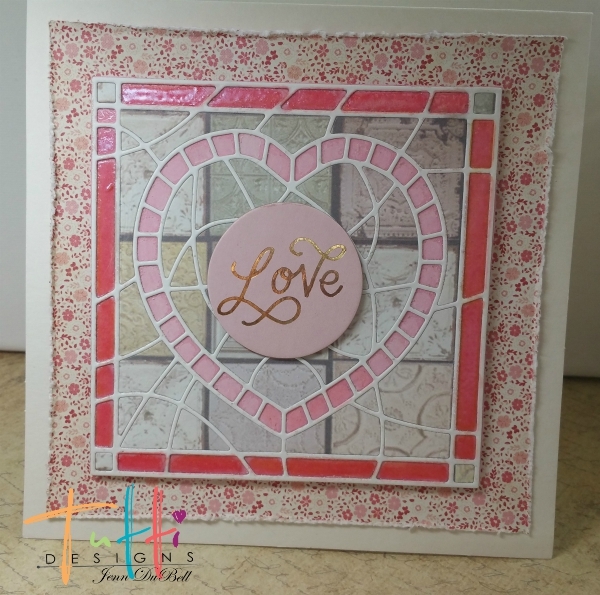 I added a darker pink embossing powder to the outside frame. 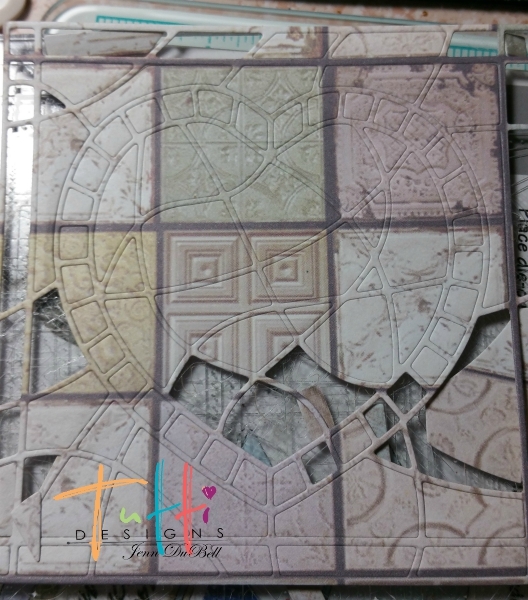 I gathered together my accent paper, die cut window, card base and a little chipboard accent. Before adhering the accent paper to my base I used a paper distresser around the edges. 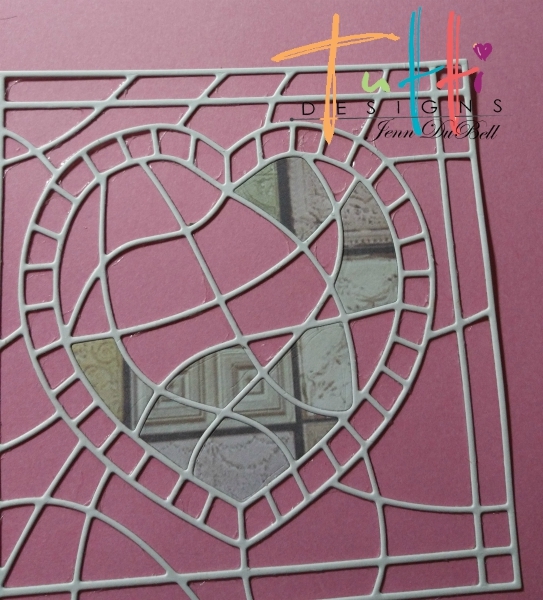 Next, I added foam sticky squares to the die cut window and adhered it to the card. 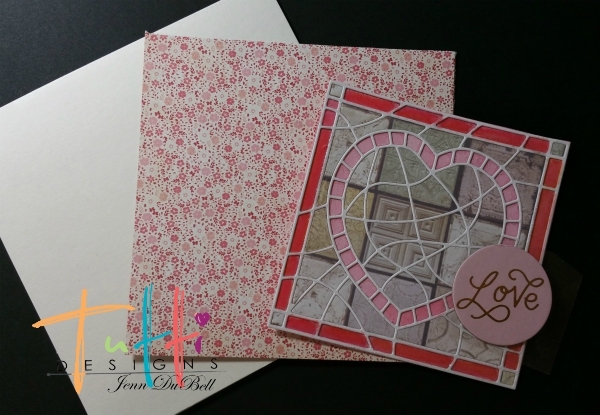 To finish off my card I added the love embellishment piece. 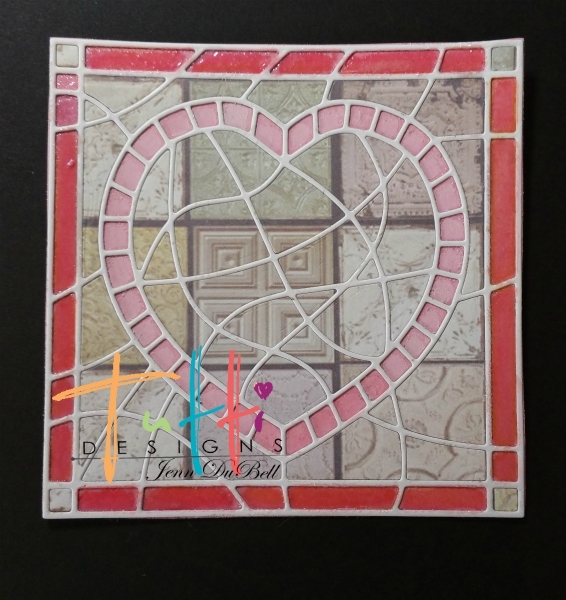 This die and many more are available for purchase at the Tutti Designs Online Store. Thanks so much for viewing my post. I hope you enjoyed! 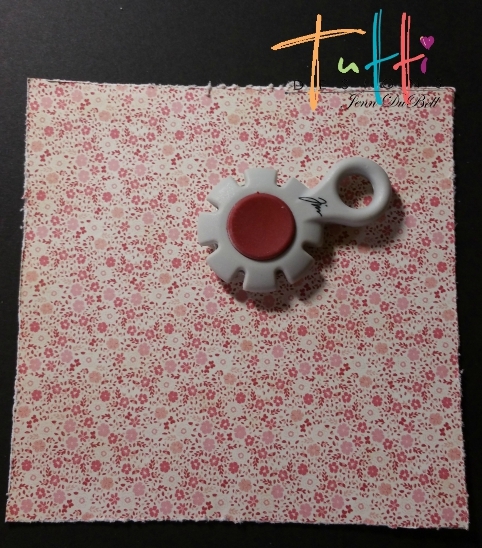 You can also see Tutti Designs on Pinterest and Facebook! Jenn, this is so pretty! The embossed frame looks amazing. 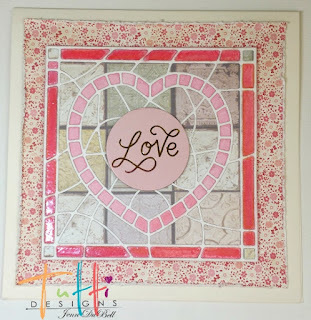 This is great Valentine inspiration! Very pretty in those colours and your patience shines through with that technique Jenn. Love it. This is beautiful Jenn! I love the tiled background ... looks 'mosaic' and awesome! Thanks for all the wonderful tips & tricks! Wonderful inspiration ... thanks! 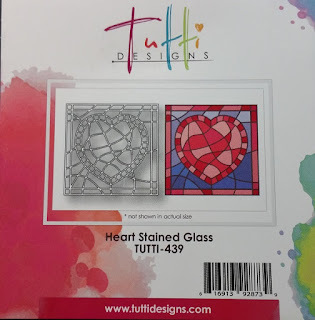 Your stained glass is gorgeous!